The majority of our network is made up of home chargers offered by our members, but there are also a sprinkling of work place chargers. Since most of these are used daily by our members, you can count on them when you need that extra boost. At the moment the service is only available in the UK; we will be expanding to other countries soon. Services are exclusively provided for Tesla Roadster, Model S and Model X owners. We take our members' information security very very seriously and will never ever share your information with 3rd parties. We ask our members to be considerate of other members' property and privacy - this community-spirited project will only flourish if we treat other members as we would expect to be treated ourselves. If you are still waiting for delivery (or your proof of ownership) you are welcome to add your charge point to our network (by updating your profile) and it will be visible to our verified members immediately. 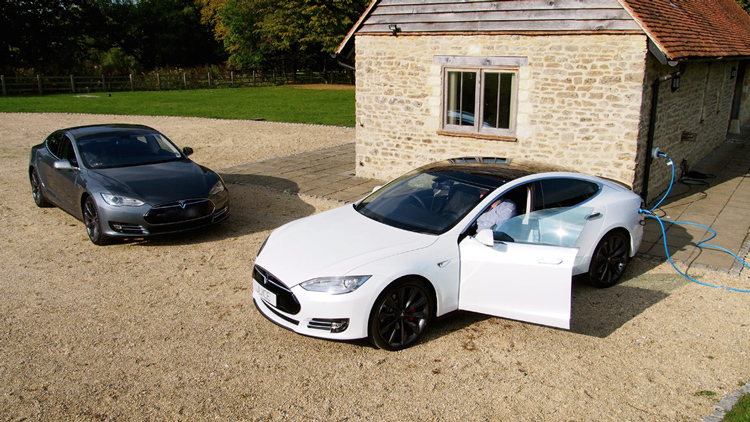 Want to know more about the Model S and Model X? There is an incredible sense of enthusiasm and community-spirit amongst Tesla owners (and prospective owners) and a huge amount of knowledge-sharing about vehicle functionality, experiences and lessons learned. But there is no single place you can visit to find holistic, accurate and current information, and answers are often buried deep in forum threads and social media services and can be difficult to locate. We have therefore created a searchable database of curated articles, written by Tesla owners, for the use of Tesla enthusiasts all over the world. We are passionate about making life with your Tesla fun and worry free; after all, that's why we started this service. So, if you have any questions please feel free to get in touch via our Contact page — we'd love to help! © 2014-2019 Viable Data Ltd. All Rights Reserved.